Aayush Sharma and Warina Hussain's LoveYatri hit the theatres on 5 October, a film that is being bankrolled by Aayush's brother-in-law's production house Salman Khan Films. In an interview with Deccan Chronicle, Salman Khan spoke about his involvement with LoveYatri and giving breaks to newcomers. Salman, who has previously launched Adiya Pancholi's son Sooraj and Suniel Shetty's daughter Athiya in action drama Hero, believes that every actor that he has guided has done well for themselves. He said while his brothers Sohail and Arbaaz were not able to make a significant mark as actors, they soared as producers and directors. Further, Salman said that his production company dipped their feet in television as well to bolster the growth of those who cannot get into films but garner enough traction on television. He exemplified his statement, saying "It was during Dus Ka Dum that mine and Aamir’s episode got rating of 3.2, but when 4 TV girls – Sara (Khan), Pratyusha, (Ratan) Rajput and Ragini Khanna solely got the TRP rating of 5.8." 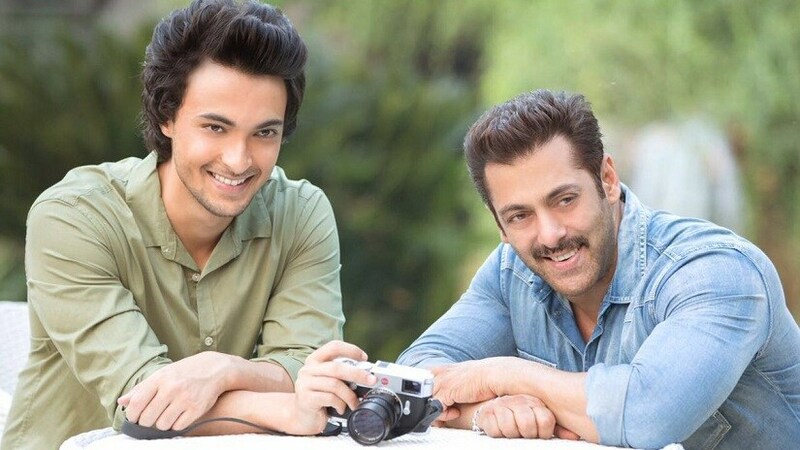 Whereas the agitation regarding the Abhiraj Minawala directorial resulted in a change of the film's title from LoveRatri to LoveYatri, there was significant negative response on the new title for the film as well. To this, the Bharat actor said that the title was changed so as to not hurt sentiments of people. However, he asserted, "If a film worked only on titles, then only title name would be pasted outside theatres. There was nothing offensive in the title."